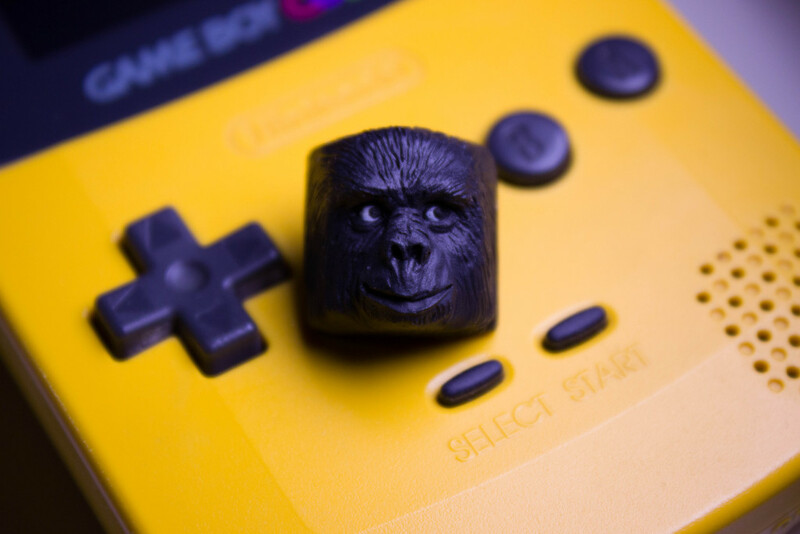 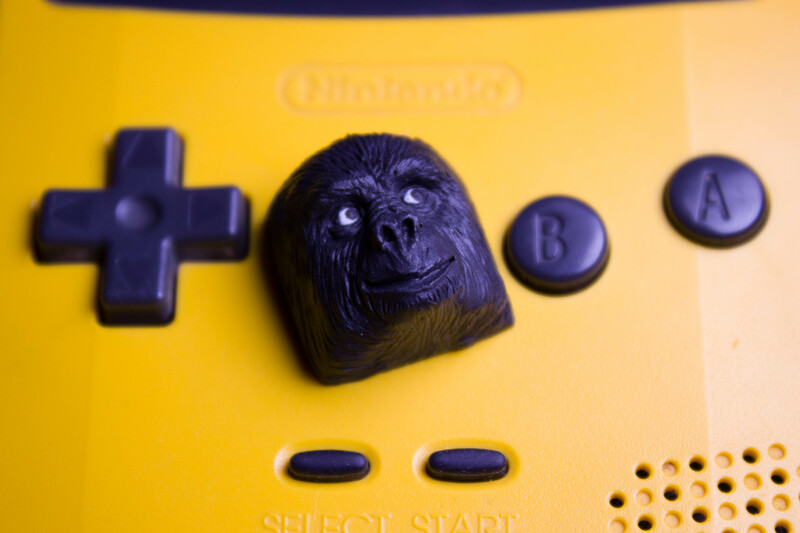 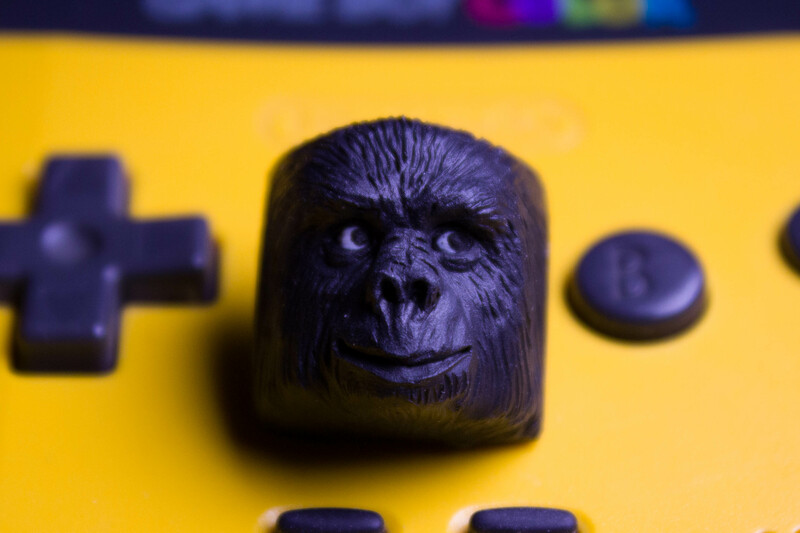 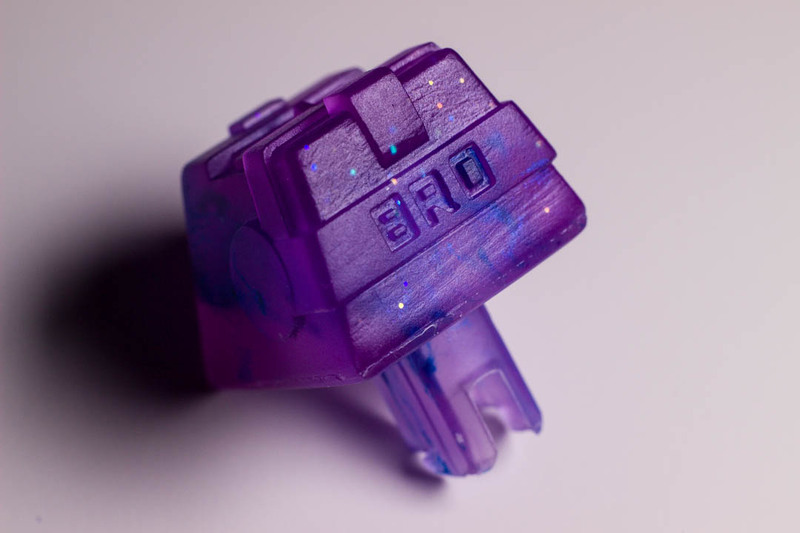 Custom keyboard keycap by Bro Caps. 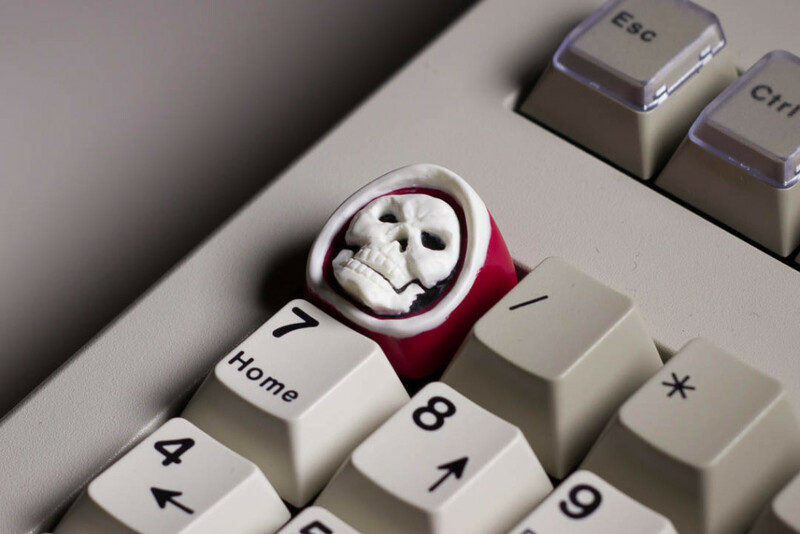 This Skull keycap is made by the Chinese artist ‘Hammer’. Keycaps are available in limited quantities on Imsto’s website. 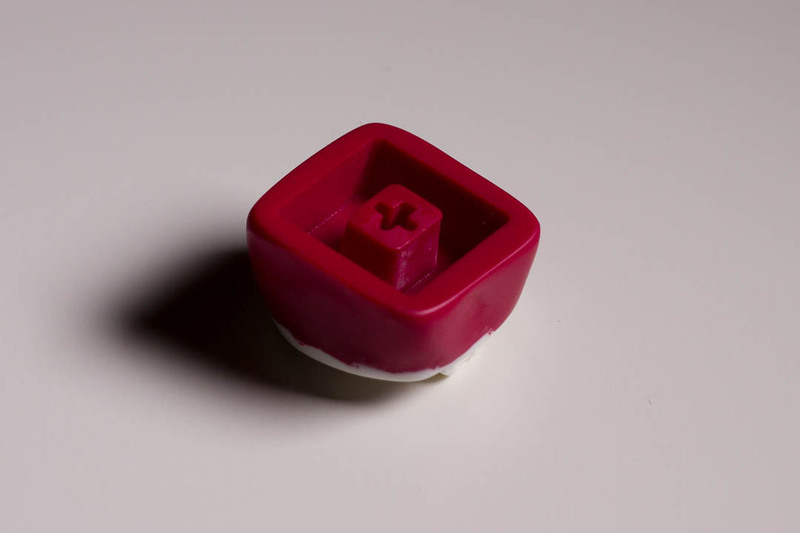 They are available with either MX or Topre Mounts. 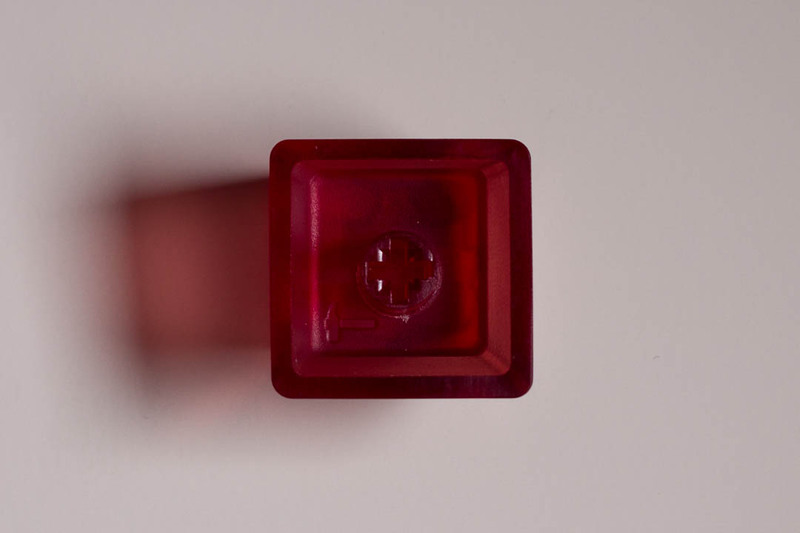 Solid Colour keys are made to allow light to shine through the eyes. 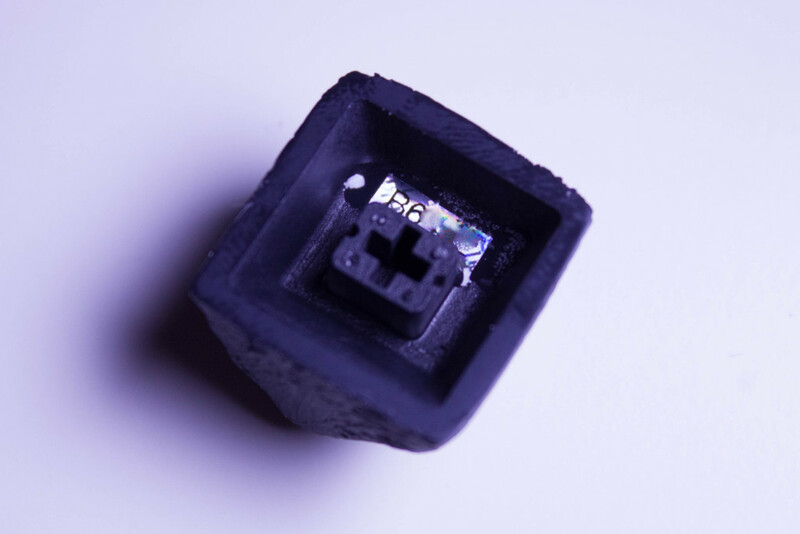 More information can be found in Imsto’s thread on Geekhack. 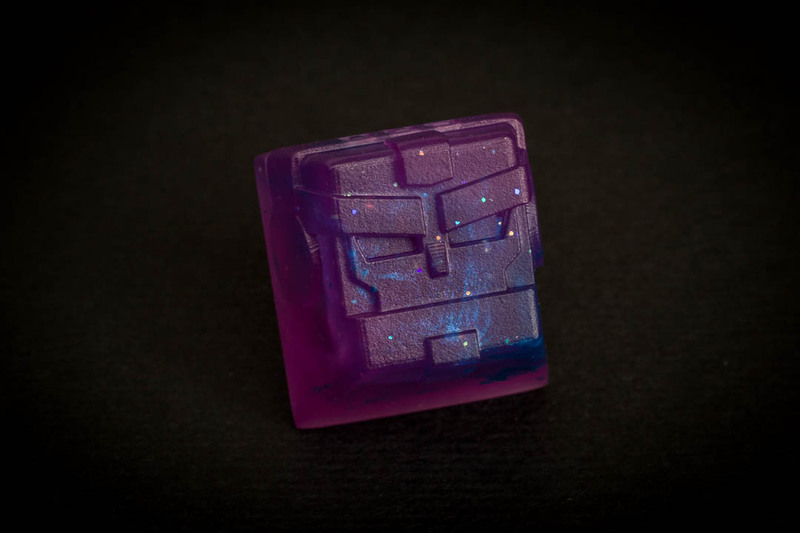 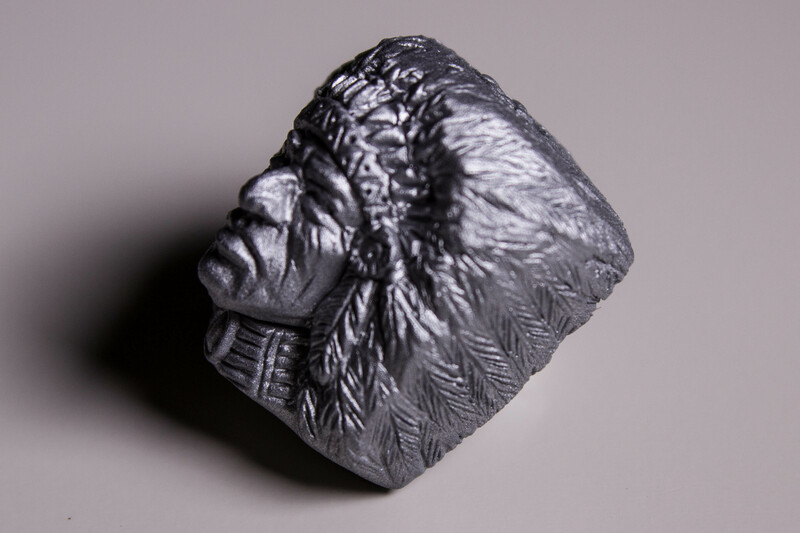 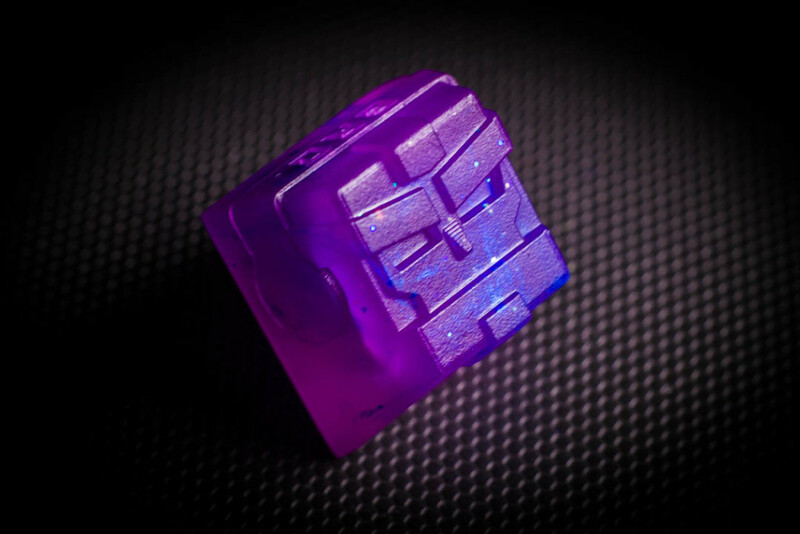 I believe Feng on Geekhack also ran a group buy for Titanium versions of this keycap before they were made out of resin. 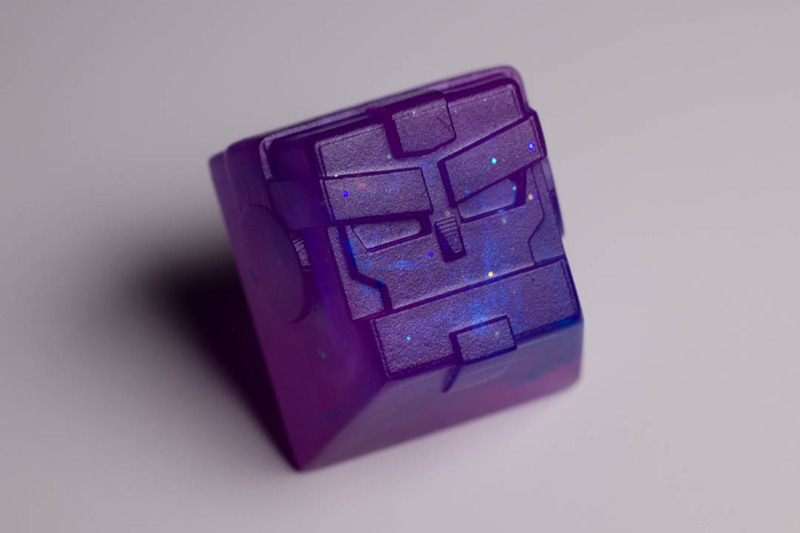 I couldn’t find the original link to this group buy. 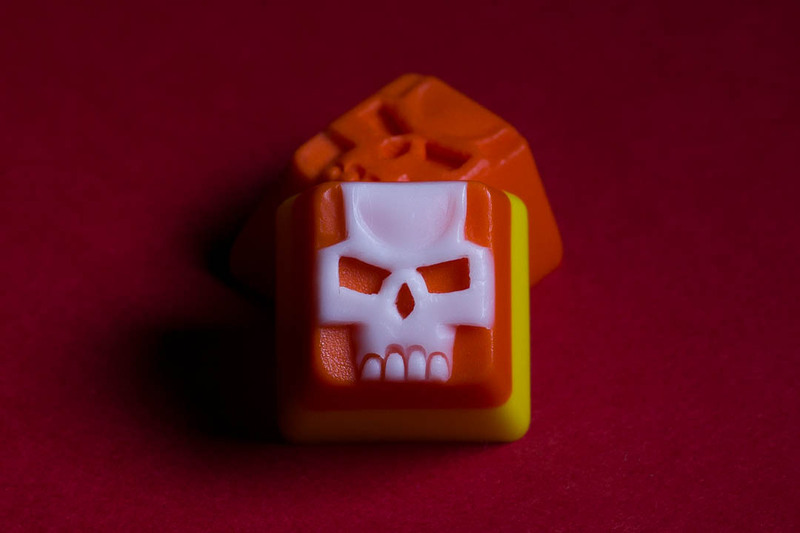 Based on Mike Mignola‘s Comic Book Character Hellboy (and since made into two films) – This Hellboy keycap is made by the Chinese artist ‘Hammer’. 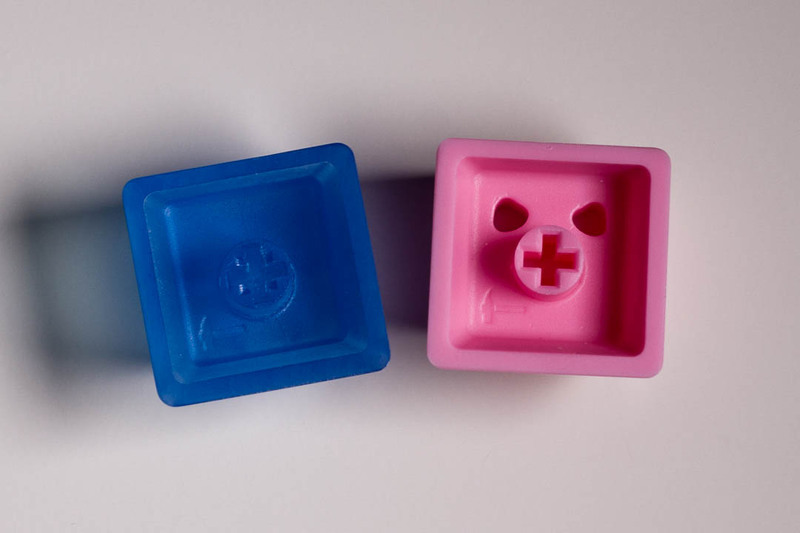 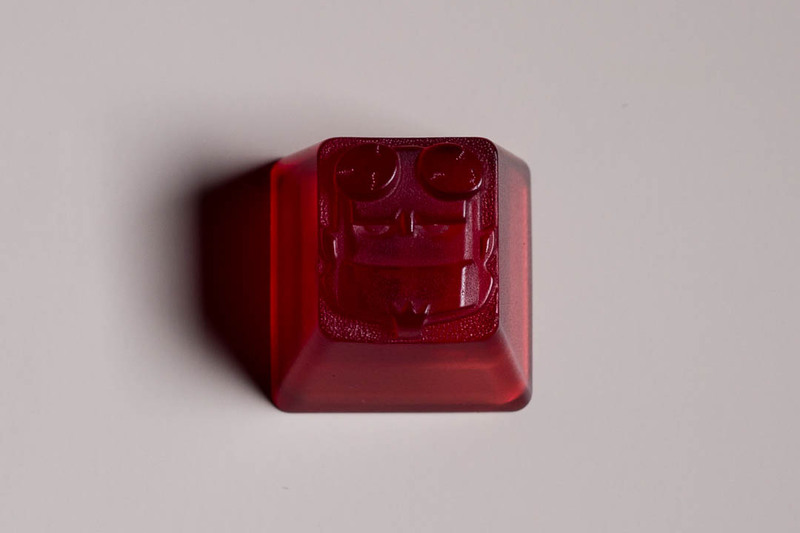 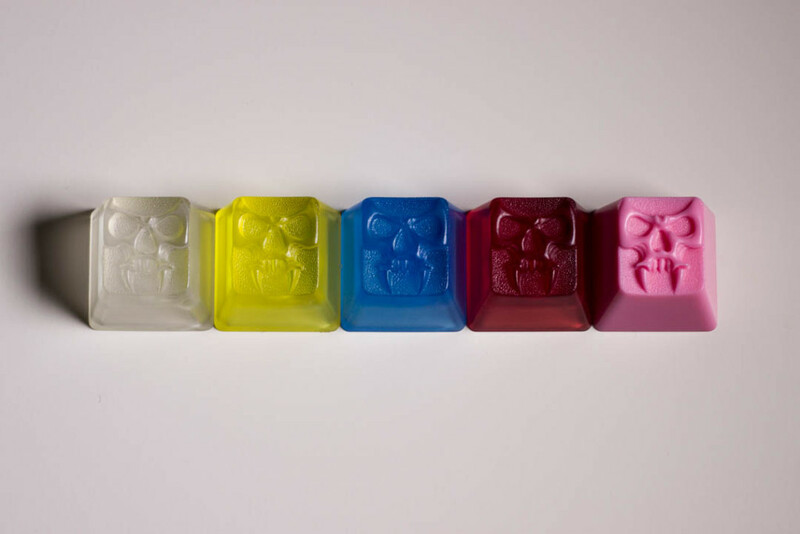 Hellboy keycaps have been made in various colours including Black, Blue and Clear. 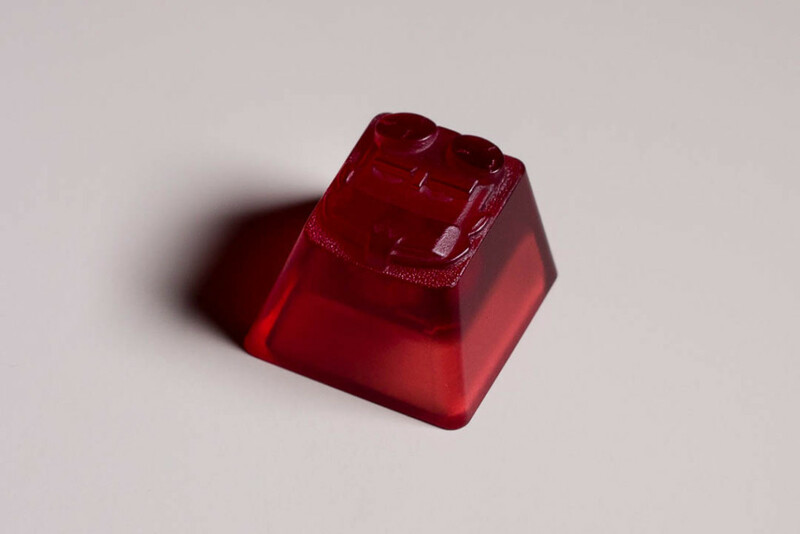 Keycaps are available in limited quantities on Imsto’s website. More information can be found in Imsto’s thread on Geekhack. 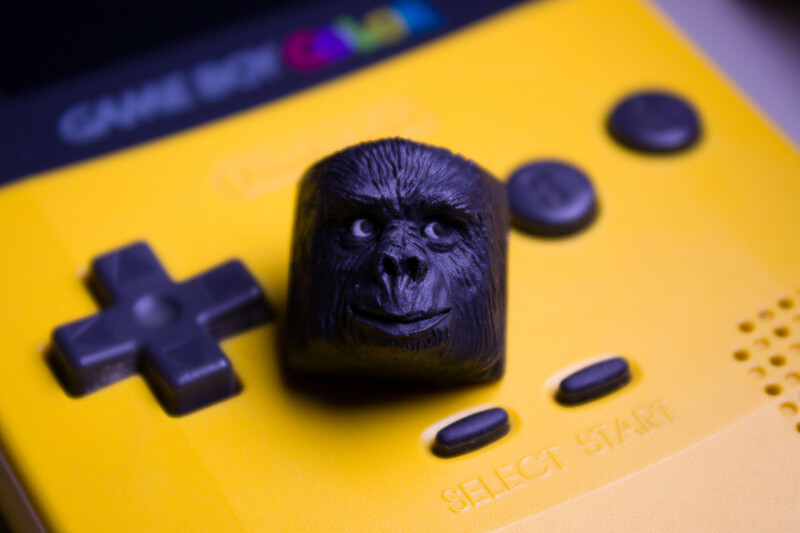 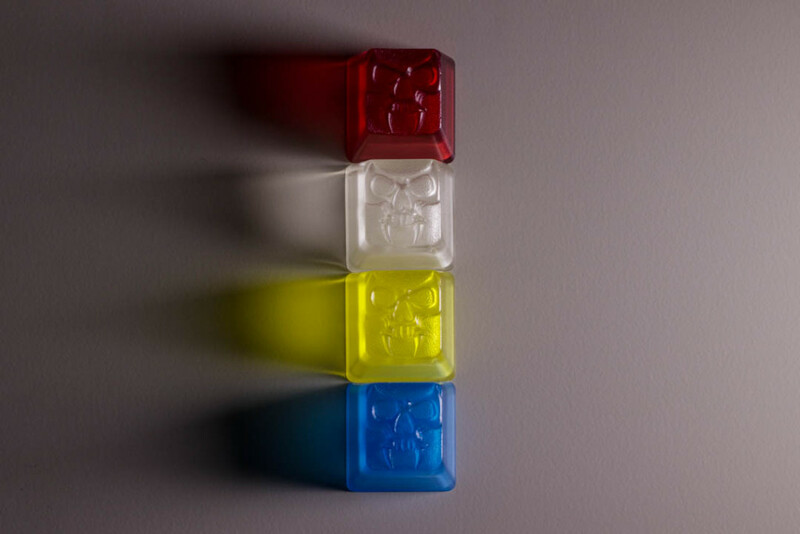 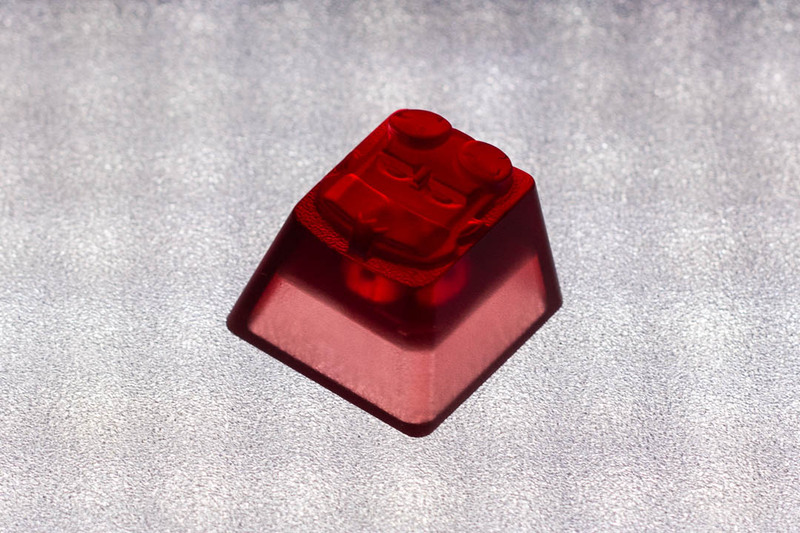 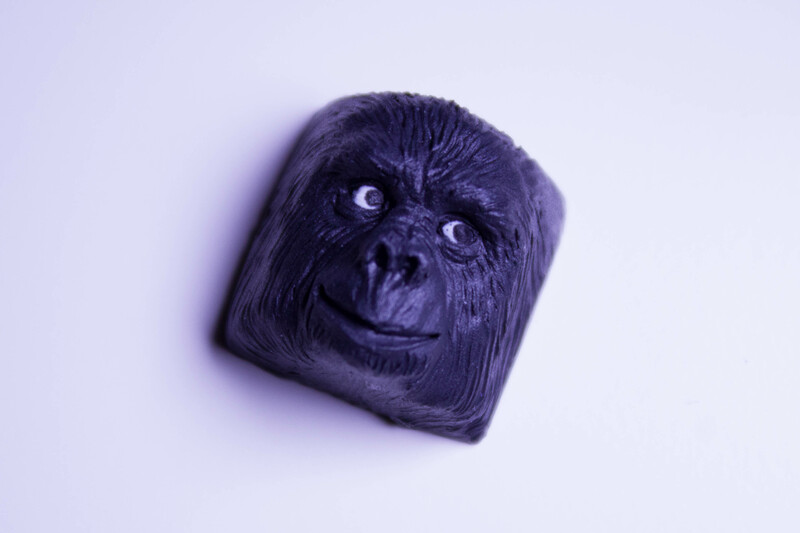 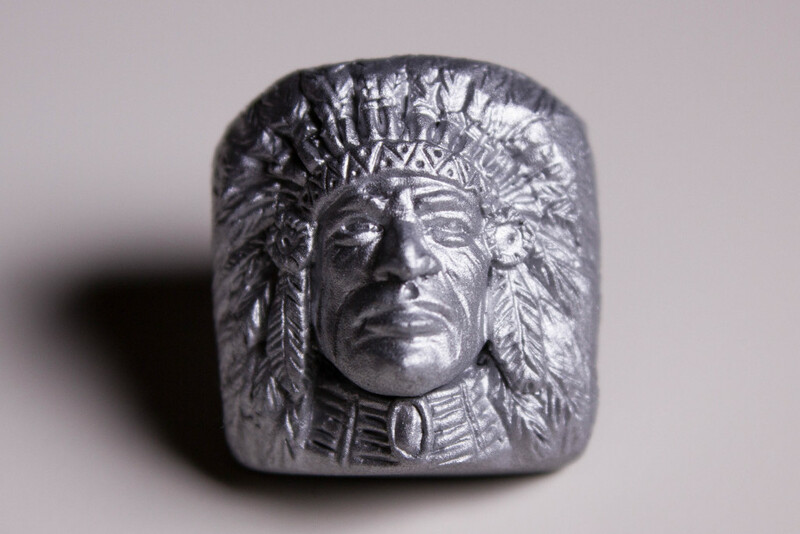 Some of the most sought after novelty caps on the planet, Clack Factory’s ‘Click Clack’ keycaps are available in MX, Topre and Buckling Spring Variants. 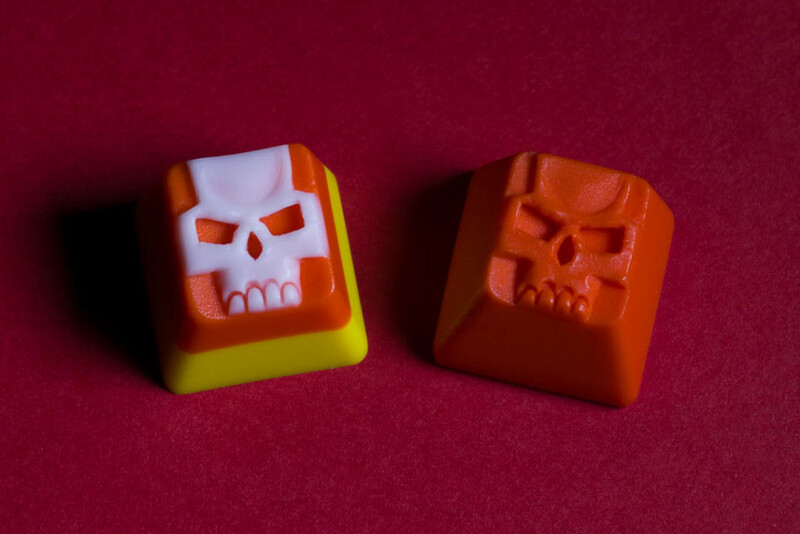 I own two of them – a Yellow, Orange and White keycap known as a ‘Candy Corn’, and an Orange keycap known as ‘Hack Orange’. 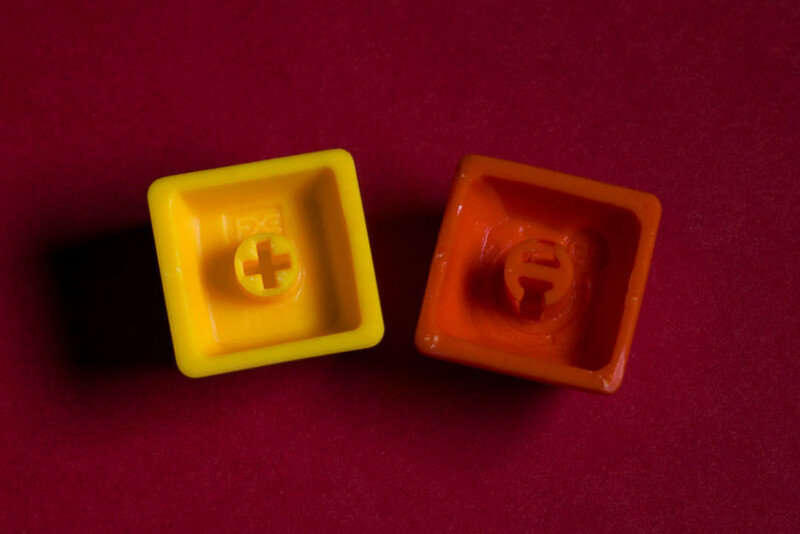 The Hack Orange Clack was purchased in one of Clack Factory’s sales. 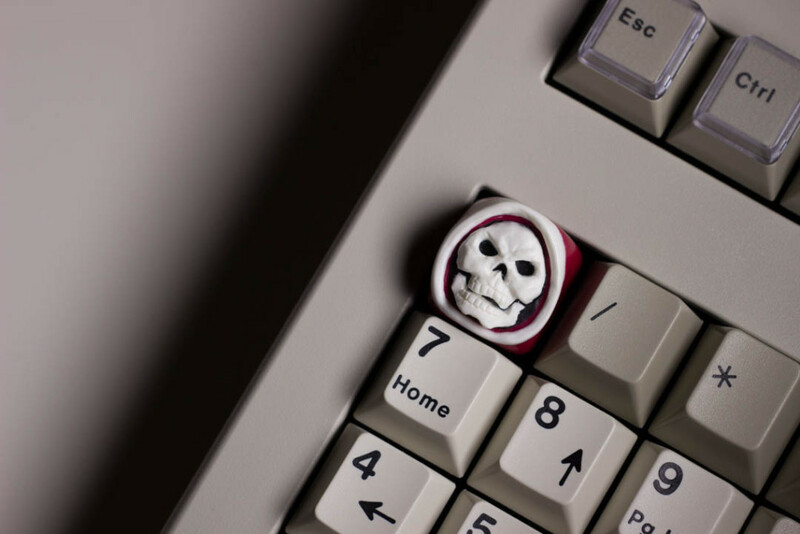 The sales end quickly (in some cases, sales only go for a handful of seconds before all stock is sold out). Quantities are also low (the actual amount of keys sold is kept a secret). 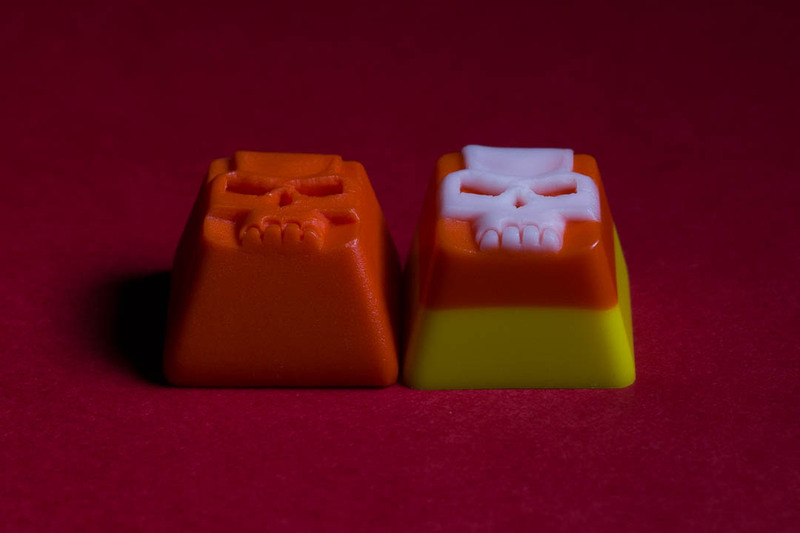 The Candy Corn keycap was purchased second hand on an Australian Forum, Overclockers Australia in 2013. 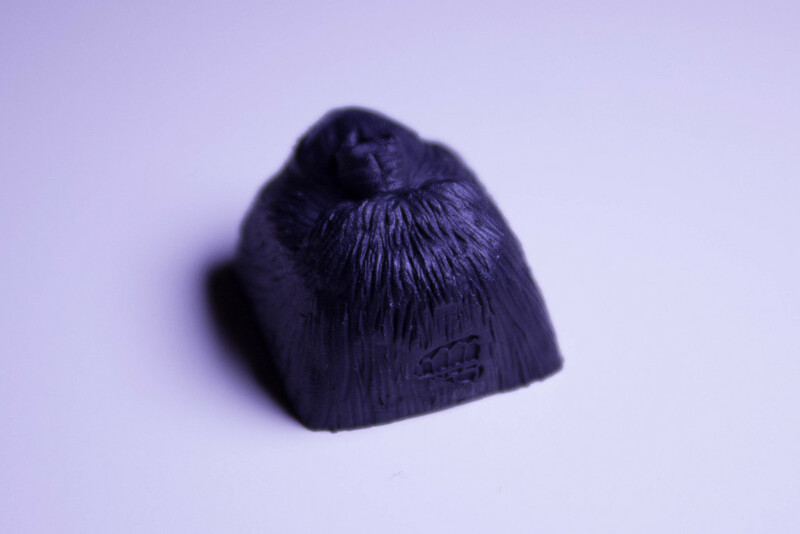 Because of their rarity, Clack Factory’s keycaps can sell for large amounts in the second hand market. 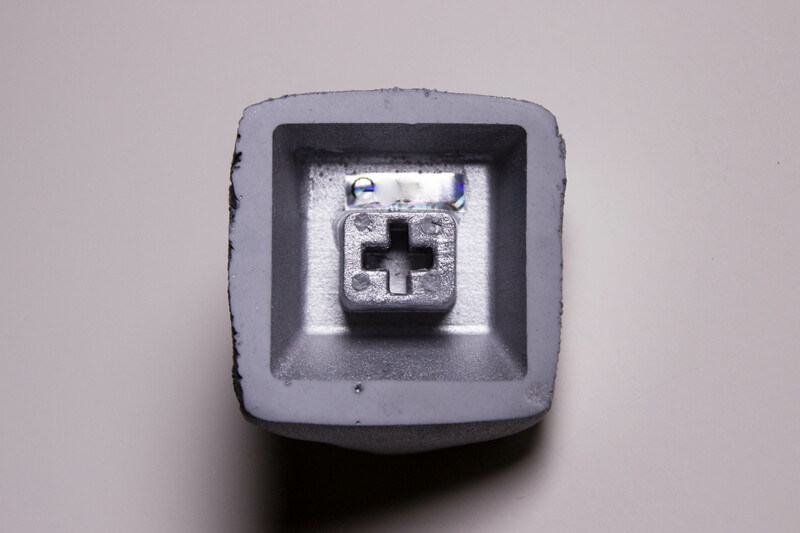 In some cases, rare Clack Factory keycaps sell for over $500 on eBay! 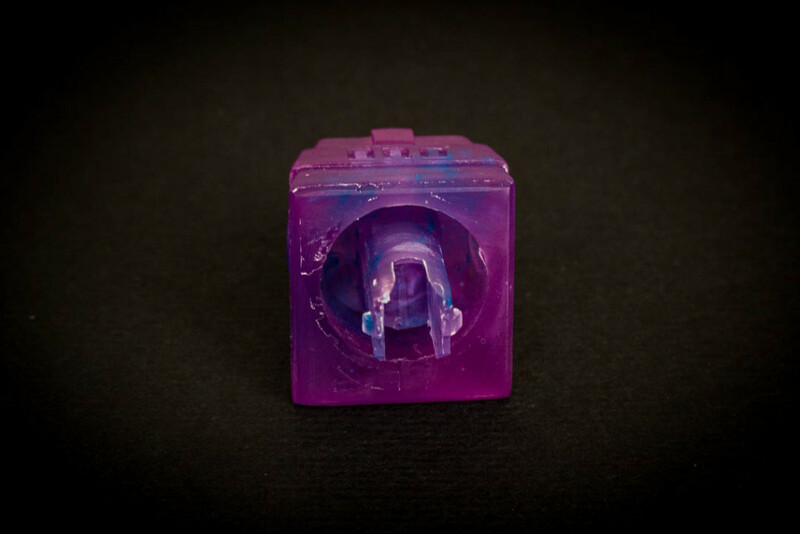 More information can be found on Clack Factory’s page on Geekhack. 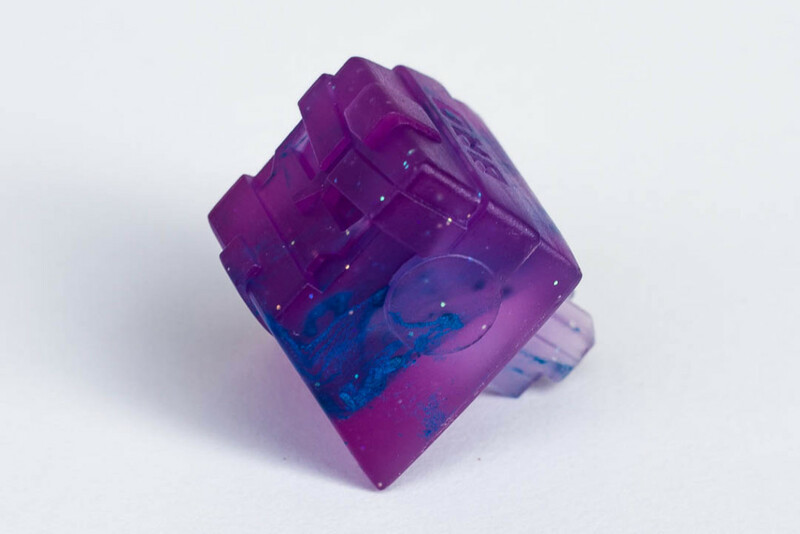 Additional photos can be found on Geekhack’s ‘Post your clacks!‘ thread. 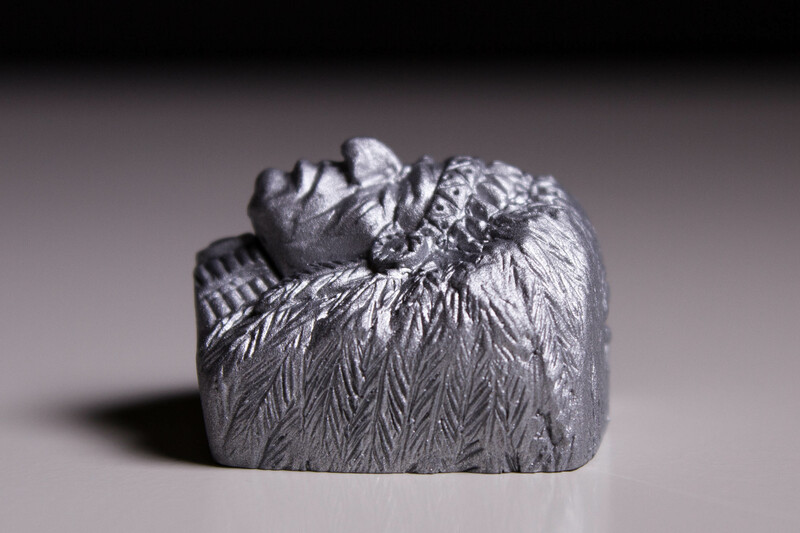 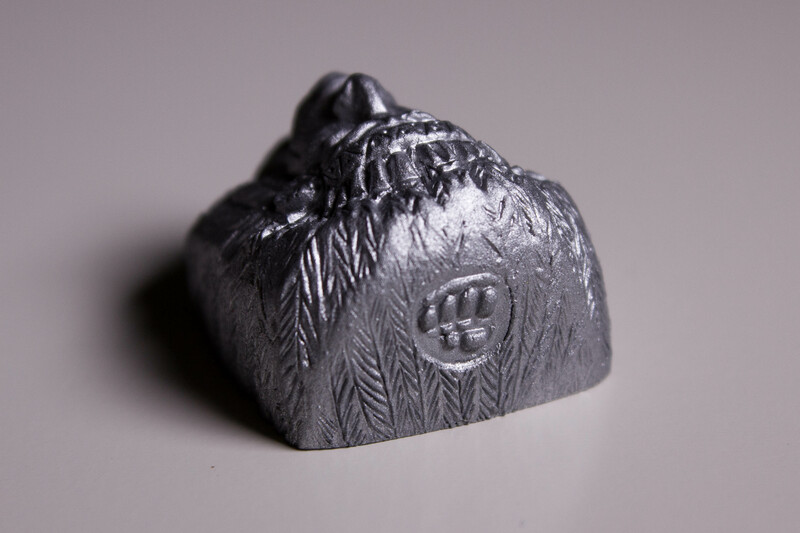 This Keycap was purchased as part of [CTRL]ALT‘s Winter Is Coming Sale along with the Three Kings Gold Brobot posted earlier. 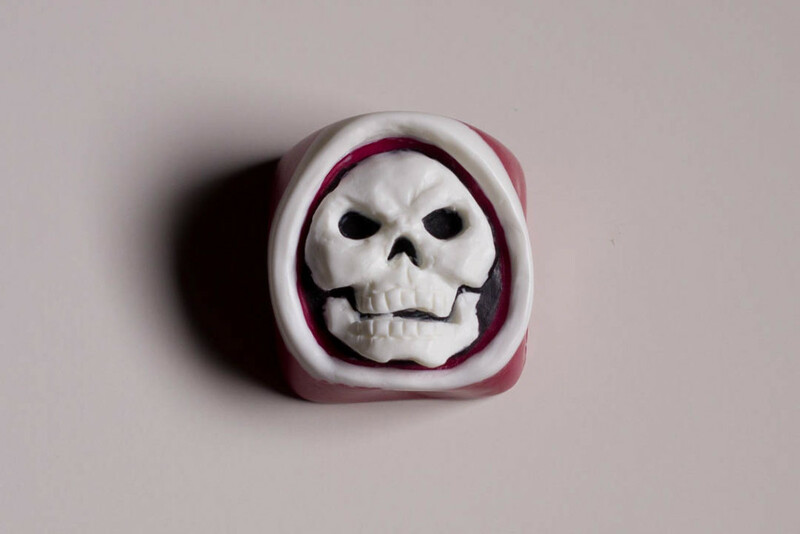 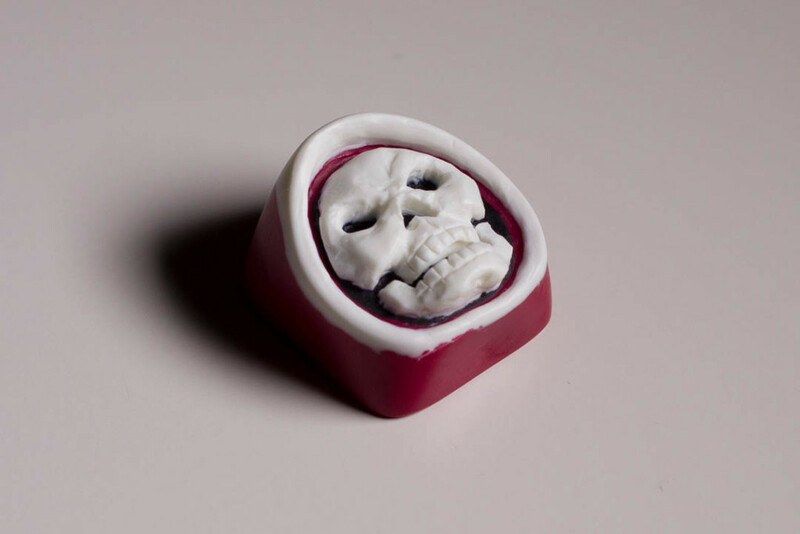 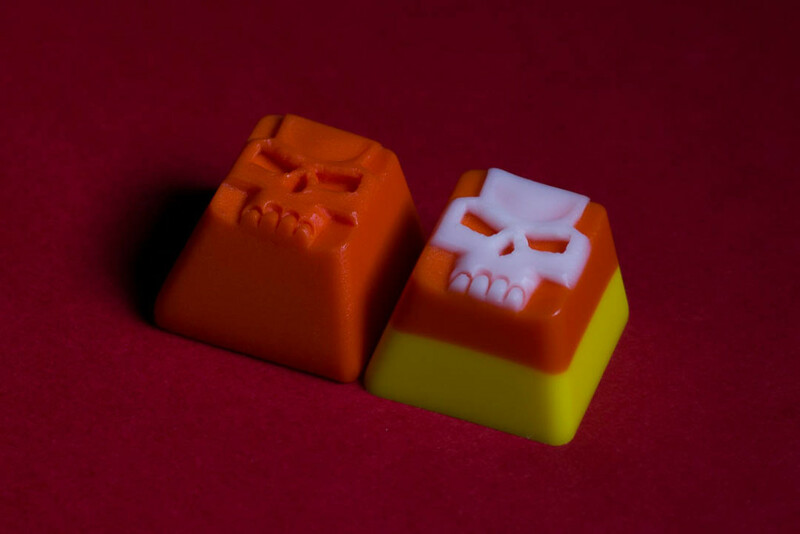 More information about the Reaper Keycaps can be found in Bro Cap’s sub-board on Geekhack.